If you live for color, don’t miss this bright pink + red midi dress. Still looking for a Christmas Eve dress? This dress is green, long-sleeved and 40% off. Love the look of the large palette sequins on the dress in this week’s EDIT, but prefer a longer hemline? Don’t miss this DVF knockout. Even in the simplest silhouette, there’s nothing simple about this gold lame dress. For my more mature audience, check out this Prada piece, this black lace dress, and this gorgeous Oscar de la Renta number. This one-shoulder LBD seems like a winner for NYE! Love the subtle shimmer, ruffle detail and the fact it’s on sale for under $300! This red cape dress is absolutely fabulous! Can’t go wrong with McQueen. 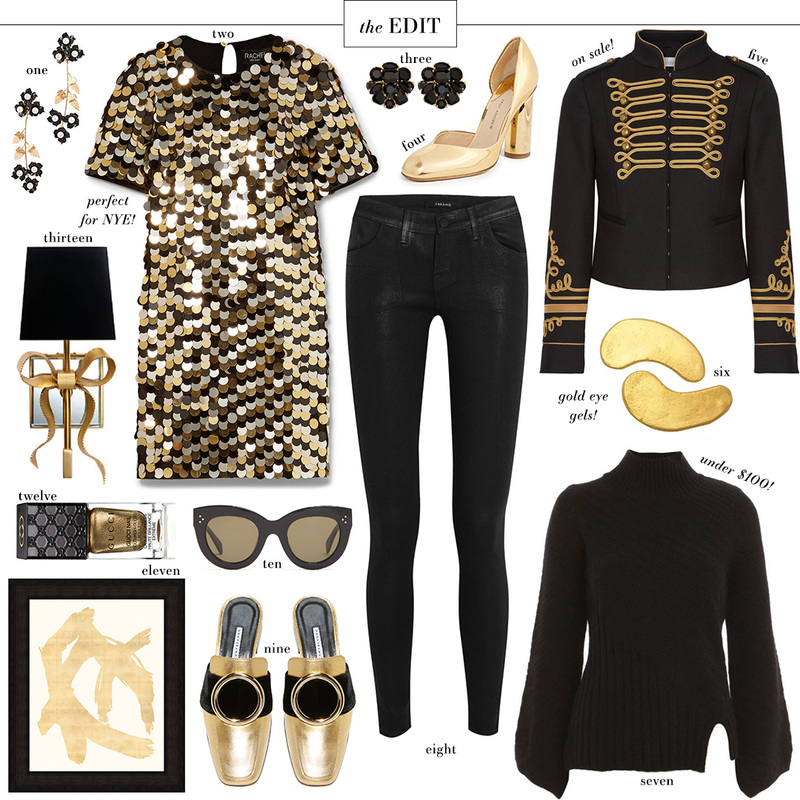 These black and gold picks are so festive! Reminds me of NYE! Coveting those cat eye sunglasses! So chic and timeless!